The developers explain the origins of Star Wars: The Old Republic, about why and how it originally came into existence. There are parts of this touching on Knights of the Old Republic and others about how they got other MMORPG developers to join the team. The beginnings of most aspects of the game, from the writing to the art style, are discussed. If you’ve been following the game for a while, you probably know what this chapter is about. 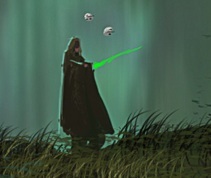 It talks about the fourth pillar of story and the differences between the light side and dark side. What makes the Old Republic era different from the time of the movies? How does it still feel like Star Wars? This chapter explains. The developers detail where the archetypes for each of the eight classes came from. From abilities, to stories, to art, many things go into making each class feel the way it should. With a section for each planet, complete with beautiful art and enlightening text, this is my favorite chapter of the book. The landscapes of the different worlds are simply breathtaking. The chapter answers the question of, “Why is there no day/night cycle?” and talks about building the right feel for each planet to make the game truly feel like Star Wars. This chapter also holds details on species and ships, both player-controlled and computer-controlled. This is the part of the book that discusses a lot of the technical and mechanical parts of the game. The cover system, graphics scaling, companions, multiplayer systems, animations, cinematics, voiceover, and music are all a part of this chapter. 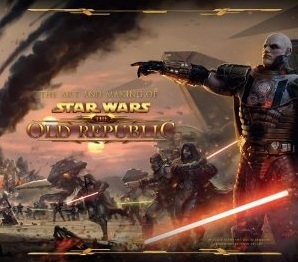 So, still unsure if you should buy The Art and Making of Star Wars: The Old Republic? That depends on what you want from it. If you are very interested in game design or game art, then definitely go for it. If you aren’t, you might not want to drop $40 on it. However, Amazon has the book for just over $25, so that may be a bit more palatable of a deal. Personally, as someone who wants to work in the games industry, I thought it to be a worthy read. But if you just want to play the game and you don’t worry so much about the supplementary books and comics, we’re only a month away from launch. Hang in there.